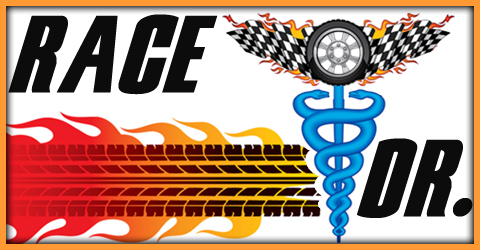 October | 2014 | The Race Dr.
My #5 pick is the most recent winner here, #22 Joey Logano. Joey has 12 starts, one win and four Top 5’s. Joey is #6 rated on tracks like this and his win here in April is part of a streak of three consecutive Top 5’s. Joey is also #1 hottest over the last six weeks. My #4 pick is the defending champion of this race, #48 Jimmie Johnson. Jimmie has 22 starts here, three wins, and ten Top 5’s. He is rated #1 on tracks like this, and has the #3 Best Average Finish at Texas, but he is #20 hottest over the last six weeks. The #3 driver has been very consistent here, #16 Greg Biffle. Greg has 21 starts, two wins, and eight Top 5’s. Eleven of his last 12 races were Top 10’s and seven of those were Top 5’s. In the April race Greg finished 6th. My #2 driver is not in the Championship hunt but he is not rolling over either, #18 Kyle Busch. Kyle comes into Texas with 18 starts, one win and seven Top 5’s. He won here earlier last year and finished 3rd in April, that has helped to give him the #2 Best Average Finish. My #1 pick this week is the driver who has the best average finish here, #20 Matt Kenseth. Matt has always done very well here. He has 24 starts, two wins and 13 Top 5 finishes. Five of his last seven starts were Top 5’s. Matt is #2 best on these intermediate tracks, and he needs to show it on Sunday because he is #4 in the Championship standings and he doesn’t want to get shuffled out of that place. Monday look for our preview of the Kobalt Tools 500 from Phoenix. Seven races into the Chase and there are a lot of simmering tensions in the garage. Each race seems to bring more to the surface. There are just three races left for these drivers to settle this. This track is another that may as well hang a sign that says “House of Roush”. In the 27 Cup races that have been run here, nine of them have been won by the Roush/Fenway team of drivers; the first in the inaugural race in 1997 (Jeff Burton) and the last in April of 2012 (Greg Biffle). No other team even comes close: Hendrick Motorsports has five wins and Joe Gibbs Racing has four wins – when combined equal to Team Roush. Can Roush keep the dominant edge? We’ll see on Sunday. My #5 driver has never been strong here, #2 Brad Keselowski. Brad has nine starts, no wins and just one Top 5. That single Top 5 came in this race last year. He is not only getting better here, but just about everywhere on the circuit. Brad is #4 hottest over the last six weeks. My #4 pick is my #3 ranked short track driver, #20 Matt Kenseth. Matt has 29 starts, no wins, and just four Top 5’s. Matt has four straight Top 15’s and two of those were Top 5’s. Half of his Top 5’s have come in the last two and a half years. My #3 pick is my #2 ranked short track driver, #15 Clint Bowyer. Clint is a very good short track driver and is looking to finish the year on an up note. Three of his last four starts have been Top 5 finishes, and all of the last five were Top 10’s. My #2 driver is tied for current winning-est driver here and has the Best Average Finish, #48 Jimmie Johnson. Jimmie has 25 starts and 18 of those were Top 5’s. 15 of his last 18 races were Top 5’s. And Jimmie has eight wins in just 25 starts. He is out of the championship hunt but he is still looking for a win. My #1 driver to watch is tied with Jimmie for current winning-est driver and has the #2 Best Average Finish, #24 Jeff Gordon. 17 of Jeff’s last 23 starts here were all Top 5’s. Jeff has 43 starts, eight wins and 27 Top 5’s. His last win was in the spring of last year. Jeff is also my #1 rated short track driver.